【Multifunctional Holder】: not only for plants/air plants, but also a good place for storaging little item inside. 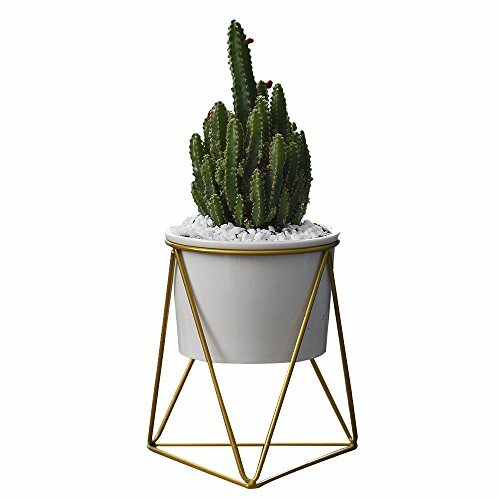 Approximate Dimensions: 4.5*3.2 inch(Flower Pots)/ 4.5*6 inch(Metal Stand). Note :** Plant is not included ** A water draining hole at the base. If you have any questions about this product by Y&M, contact us by completing and submitting the form below. If you are looking for a specif part number, please include it with your message.